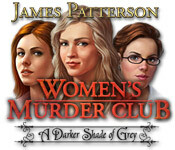 James Patterson Women's Murder Club: A Darker Shade of Grey is rated 3.6 out of 5 by 30. Rated 5 out of 5 by AngelQueen36 from Glad I didn't need a pad I love games where you can just go and click on it, get right down and start playing. Don't have to go walking all over the place and going back and forth all day long. Very easy and fun. Rated 5 out of 5 by Lydia2010 from It Was SO Addicting But I Hate When The Trail Expires This is a awesome game. Graphics are too good to look at also. This can never get any better. I just don't like when the trial expires. Rated 5 out of 5 by WhiteLily20 from A Really Fun Game! All of the James Patterson games are a lot of fun and this one is no exception! Rated 5 out of 5 by caz2701 from BRILLIANT GAME What a brill game well worth buying and playing. I loved it from start to finish. The story was great all played around a military academy. The usual characters were played. There were 10 playable levels all incorporating finding and doing things. Thoroughly recommend playing this game. Rated 5 out of 5 by javanjazz from No clutter fast and great plot After playing many many HOGs this is something that I can recommend to beginners and advanced players alike. This is more like a clue and FROG game than a HOG. Cut screens are well done comic book style stills w/o VO. Fast moving game, no clutter to rummage through finding useless unrelated items like in many HOG games. I have read many James Petterson books and this story line is as good as his books. Music blends into the game well. There are several mini games that is different from the usual pipe,lock and other frequent puzzles. Some are even informative. You get hints added as you go along chapter by chapter but honestly, you do not much need them. Rated 5 out of 5 by JazzyB2Krazy from Best JPWMC Game I purchased all four of the JPWMC games and A Darker Shade of Grey is my favorite. Loved the storyline. Loved the puzzles. Pretty lengthy, which is good. I do wish there was voiceover and the animation could've been better. But other than that, this game is awesome. 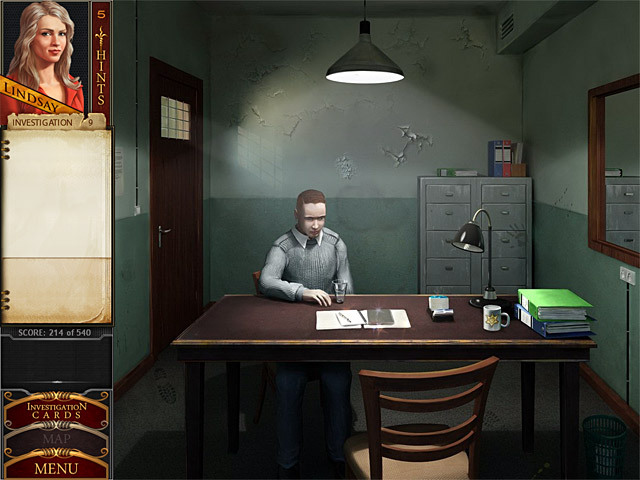 If you like crime-solving mysteries and whodunit mysteries, you'll love this game. I guarantee. Rated 5 out of 5 by Mrs_Kim from James Patterson WMC: A Darker Shade of Grey Want to play like a real detective? then I think this game fits. You collect evidence, question the suspects, investigate and protect witness like a real police. This is one game you should not miss, with lots of interesting twist and great graphic (although I kinda dislike the between scenes, they are very slow and kind of disproportional), still they're nothing compared to the great game presented. Well done! Rated 5 out of 5 by SandaLs503 from Want more Games like this! I LOVE the HO games that have an actual storyline and gives you some mysteries to solve along the way. I have played all the James Patterson games that are out and enjoy the variety of playing different characters to solve the story. 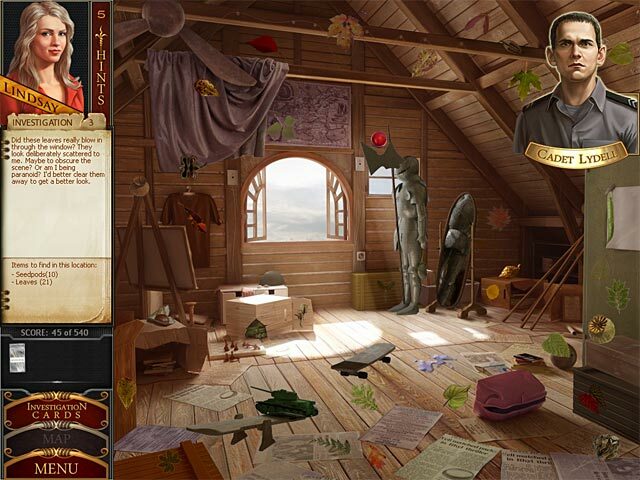 Hidden Object scenes were fun, mini puzzles were a nice challenge, if you dont like them you have the option to skip, graphics are good, and the game is just the right size, not a huge file but big enough. I was able to find another game similar to these, Elizabeth Find, MD. was kinda like these. If anyone knows of any others like these games and have my similar interest please let me know! ;-) In any case I highly recommend this game, but if your all about ONLY hidden object searches, I would try the one hour free time before buying it. Rated 5 out of 5 by queenvon from And now for something COMPLETELY Different... the Women's Murder Club novels by James Patterson feature a reporter, a police detective and a medical examiner from San Fran--in this game, you play each chapter as a different member of the club! A member of a Southern military academy is found dead on a rocky beach near the Golden Gate--is it murder or an accident? You investigate through HO scenes, interrogations, undercover operations and forensic testing. There are lush HO scenes, moderate to challenging mini puzzles and games as well as a crime to solve! Beyond the crime is the question of what is going on at the military academy? The women, through your game play, get to the bottom of it! If you like mysteries, enjoy HO games with a twist, like some light adventure/strategy with your HO gaming, then this is a PERFECT game for you. Yes, the 'forensic' testing was a bit of a joke--but other than that, I thought this game looked and played GREAT. Some of the puzzles were not my thing-connecting pipes or such, so I skipped them without penalty. I never looked for a walk through, but assume there is one out there, should you need it, but even as a casual beginner, this game won't make you frustrated. I thought it was long enough, even though I could have played it longer. I did find this game bundled, so I played the first 3 Murder Club games one after the other, and loved all 3! So try this game, I think you will like it!